Leeton – Five Leeton students and one Chilhowee student were honored with checks for their academic performance in Sunflower Bank’s 2016 ABC Program. Joshua Detherage, regional sales manager for Sunflower Bank in Leeton, said Hadley Silkwood, Morgan Simpson, Harper Shaffer, Conner Davis and Dakota Berkmyre of Leeton and Ethan Pemberton, Chilhowee, received the checks. 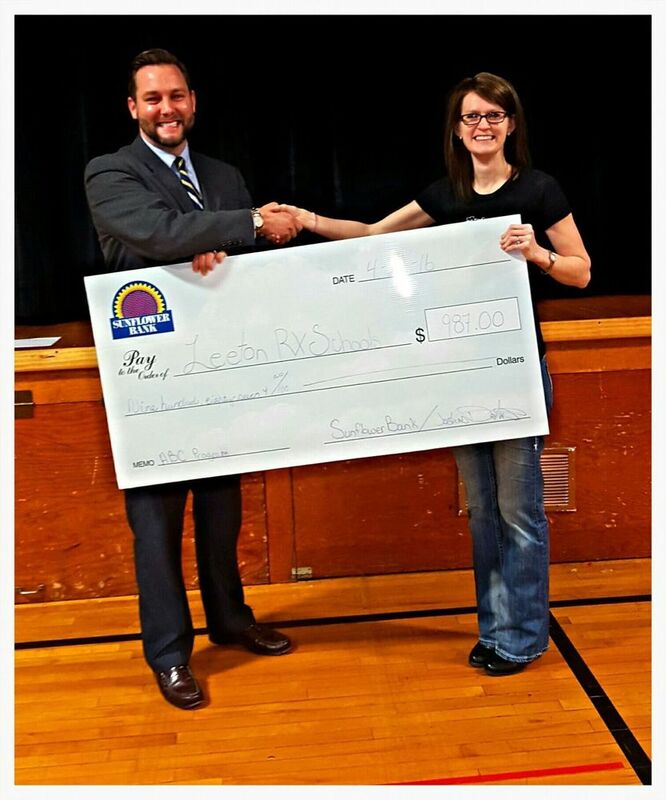 The bank also presented checks to the Leeton R-X School District and the Chilhowee R-IV School District. From Jan. 1 to March 31, new and current customers raised money for their schools by opening a checking account or swiping their debit card. Selected students received $10 for every “A” grade on their report card if their name was one of five drawn at every branch. The ABC Program, which Sunflower Bank began in 2001, has generated more than $1,036,700 for schools and students in Kansas, Missouri and Colorado throughout the past 15 years.